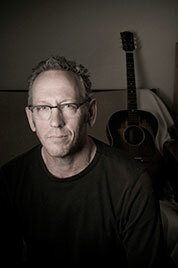 Darden Smith is an Austin-based singer-songwriter who redefines what it means to be a musician. With fifteen critically acclaimed albums in a career that spans over three decades, Smith continues to write and tour across the US and Europe along with exploring new and innovative ways to use the craft of songwriting, innovation and service. Smith released his first album, “Native Soil,” in 1986, and his music continues to blend folk, rock and Americana influences with the storytelling roots of his home state of Texas. He has long transcended traditional singer-songwriter boundaries, and the evolving nature of his work since 2000 reflects his consistent creative excellence. He is the co-founder and creative director of SongwritingWith:Soldiers, a program that brings professional songwriters together with active duty and veteran soldiers in retreat settings to write songs based on their stories of combat and the return home. Smith was the 2011-2013 Artist-In-Residence at Oklahoma State University’s Institute for Creativity and Innovation. An in-demand speaker, his collaborative songwriting workshops with individuals and Fortune 500 companies use songwriting to inspire new ways to listen, collaborate and learn in the traditional work environment.